Mixgenius has the makings of a once in lifetime game-changer. It’s refined and classy mastering, not a clipping agro job. After just a couple test runs, it’s part of our routine for remixes, production and now even boosting old tracks and vinyl rips. It’s pretty amazing, it means we can make a track and play it that night knowing its going to sound as phat on a big system as all the other professionally mastered tracks we are playing. It does an amazing job considering its a computer program. I was genuinely impressed by the result! LandR is really cool! I use it to boost our demos so we can play them on our radio shows or our parties! It’s easy / fast / furious and cheap! LANDR is a great everyday mastering tool with a simple interface, and plenty of muscle to flex. If you’ve got Champagne taste, and beer budget - LANDR is what you’ve been waiting for! I love the idea of being able throw something up and have it mastered… I would love to see LANDR grow and the options multiply. a good way to blow up your mix. Not many people have the passion and time to get into mastering themselves – I think it’s a great idea. First I was a bit sceptical. An online mastering service? Does that even make sense? And yes, it does. Its amazing. 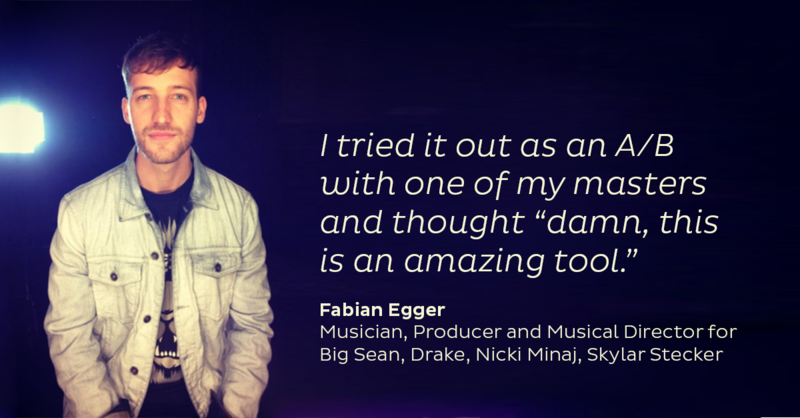 LANDR really gives you that bit that will make your tracks sound golden! It is fast and easy. I will use it from now on on all my productions. As the podcast I did shows, the service is a great tool for using on DJ mixes but more than that, LandR has made it possible to instantly make new tracks and edits ready to be played on a club system. This has saved me time as I don't have to think about the overall mastering side of things and can concentrate on the mix and also given me more confidence to include music in my sets that is just finished, which is very exciting. LANDR does a great mastering job and is especially useful for quickly highlighting issues in a mix down that are not apparent at the premaster stage so that you can go back and edit your mix as needed. Excellent time saver and invaluable reference tool. 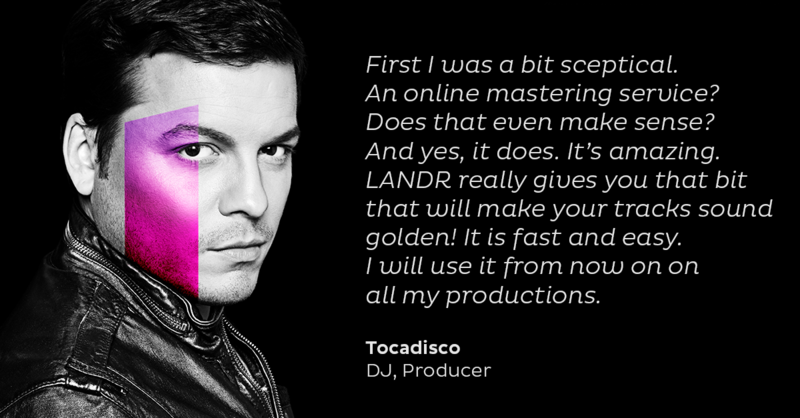 LANDR Mastering makes your music sound professional at a minimal cost and in the shortest time possible. This was such a surprise for me! If you don't have enough time and money to hire a pro mastering-engineer, LANDR can make your sound meet the market standard. dynamic range are just perfect to get the ideal render of your track. That system is definitely Hungry Music approved 🙂 Great job. LANDR is an affordable groundbreaking technology. It offers a quality finish that stands up to any major label release. Get your track delivered straight to your inbox and your Mastering History. 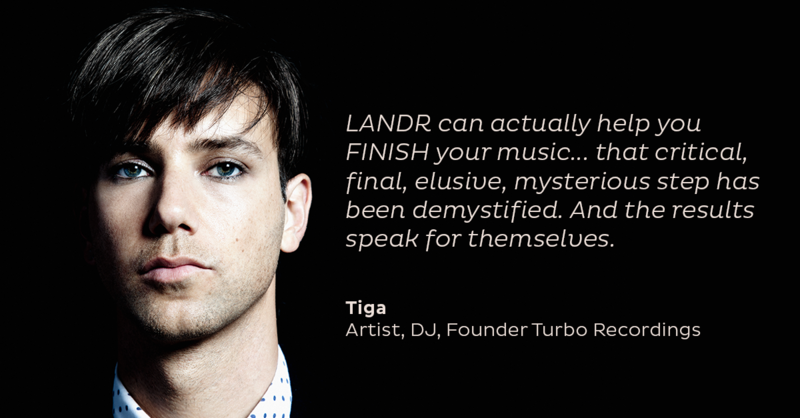 *Free mastered track is limited to new LANDR customers.